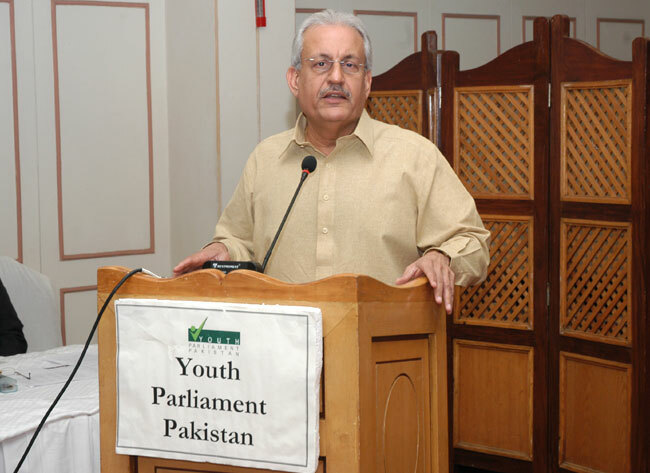 Islamabad, September 22: In an interactive session on the topic of “Civil-Military Relations” Senator Raza Rabbani, Chairman Parliamentary Committee on National Security, shared with the Youth Parliament Pakistan his analysis on the issue and the way forward. In his view, the military has played a role of pivotal importance in the national security of the country but the military intervention in the politics and Parliamentary system should not be backed at all. He said, “The foundation stone of civil military relations has been laid by the present government. Civil and military relations have improved, yet the balance continues to elude.” He was of the opinion that the Military should be answerable to the Parliament and Parliamentary committees. He stressed that the National Security Council should not have been established as it was the idea of a military dictator. He criticized the feudal lords and feudal thinking who have always supported the undemocratic regime and powers which eventually pushed Pakistan decades away from prosperity. The Senator was of the opinion that gap between the federation and its units would be bridged with the implementation of the 18th Amendment and that the credit of promulgating 1973 constitution goes to the PPP-let Government. Mr. Raza Rabbani further noted that a deliberate campaign has always been launched in order to discredit and dishonour the politicians in the past but the present Parliament has taken the first step in the right direction. 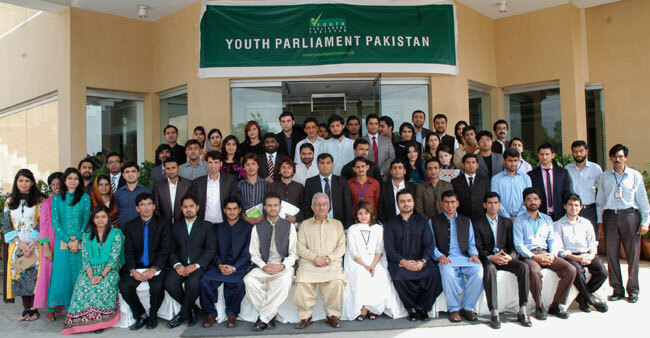 Youth Parliament Pakistan is Project of Pakistan Institute of Legislative Development & Transparency (PILDAT) and is supported by the Danish International Development Agency, Government of Denmark as recognition of the importance of young people's involvement in democracy and democratic practices in Pakistan.